I realize, as it gets warmer many people are less inspired and less interested in drinking hot tea. With the exception of the hottest days of summer however, I enjoy hot tea almost every day. 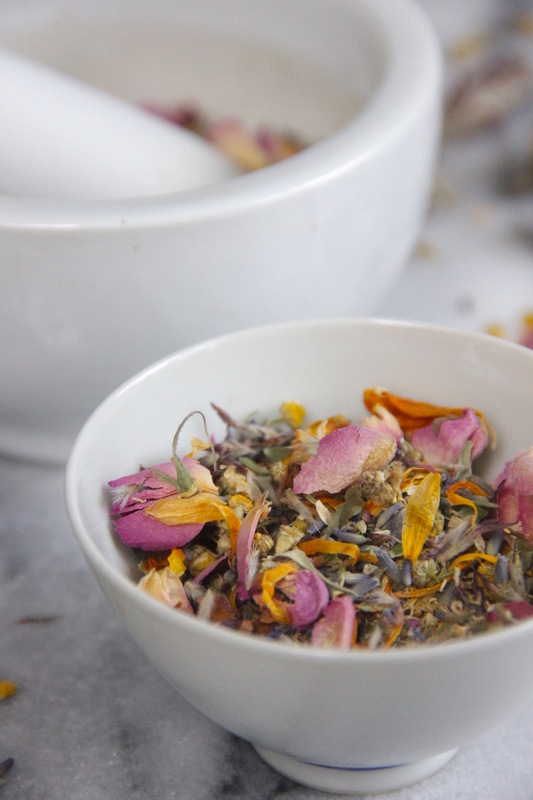 For me, a calming herbal tea is a great way to relax and unwind before bed as well as makes sure I’m properly hydrated. 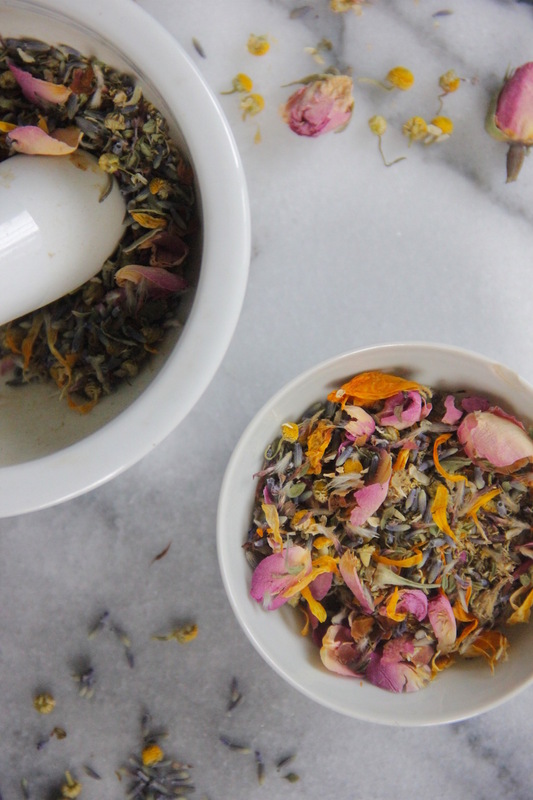 Herbs like lavender and chamomile have actually been found to a calming and sedative effect on a person and lavender is something I use regularly in my evening routine. 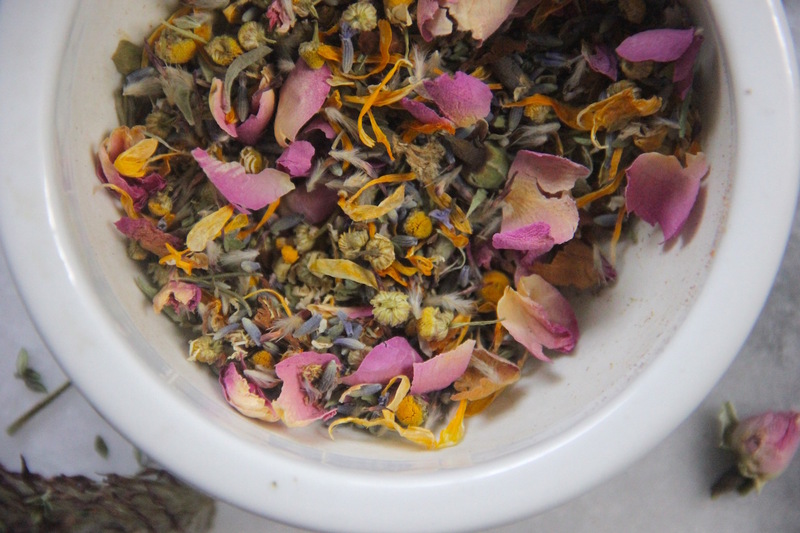 With all the dried spring flowers involved in this herbal tea like chamomile, lavender, rosebuds and calendula along with other aromatics like thyme, the smell alone sets me into a relaxed state. 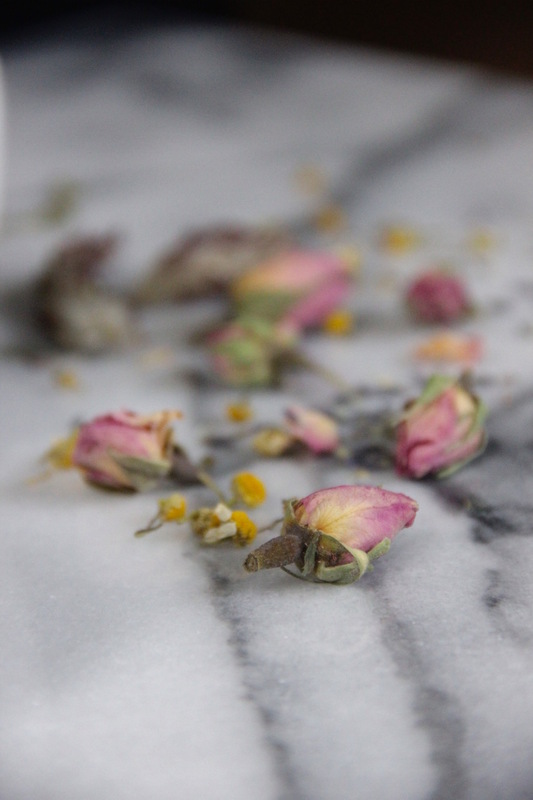 As I meditatively scoop out the tea into my mug and pour the hot water onto it I immediately feel like slowing down; I want to stop and smell the roses, if you will. If you like this recipe, you might also like my recipes for Sleepy Time Tea & Cold and Flu Season Tea. Combine all the herbs into a bowl, blend together evenly and more into a sealed storage container (I often use a lidded Mason Jar for this). When you are ready to drink, add 1 1/2 tsp per 1 1/2 Cups of off boiling water. Steep for 6-8 minutes, strain and enjoy. Add some sweetener like local honey if desired.